I am looking forward to an exciting year for our Chabad. One of the most rewarding endeavors that we accomplished was having the first open Board meeting for the congregation several months ago. Those members who were present spoke openly and freely about what could improve their experience at our Chabad and also spoke of the things that we got right. Many of the suggestions have been implemented at least partially if not fully. 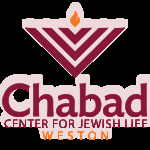 This is a work in progress and it is my hope that these “open” meetings will continue in the future, ensuring everyone’s voice will be heard and they will feel that they are truly a part of the Chabad of Weston. On another note, I am hopeful for someone to step forward to assume leadership in resurrecting the Men’s Club. If you are interested, please contact me through the office or email at bhk57@aol.com. I want to wish all a Shanna Tova !!! !